Its in the name! As many as a dozen green sea turtles can been seen together here. Take a knee and watch one of the busiest turtle cleaning stations on the island. Several at a time gather to have their shells cleaned by tangs, wrasses and other fish. 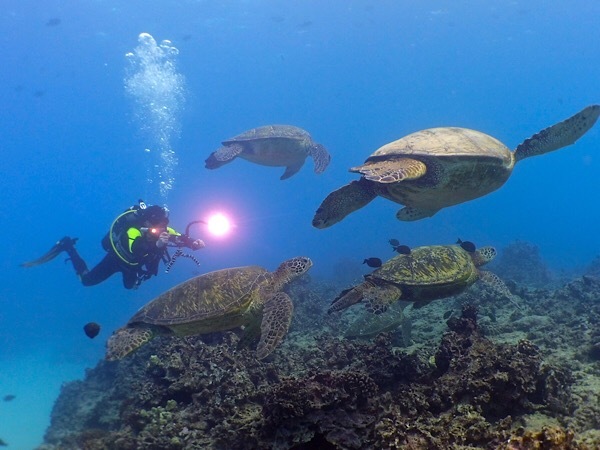 The turtles are used to divers, so getting a photo with one is usually easy. Don’t touch though, these guys are protected by law.